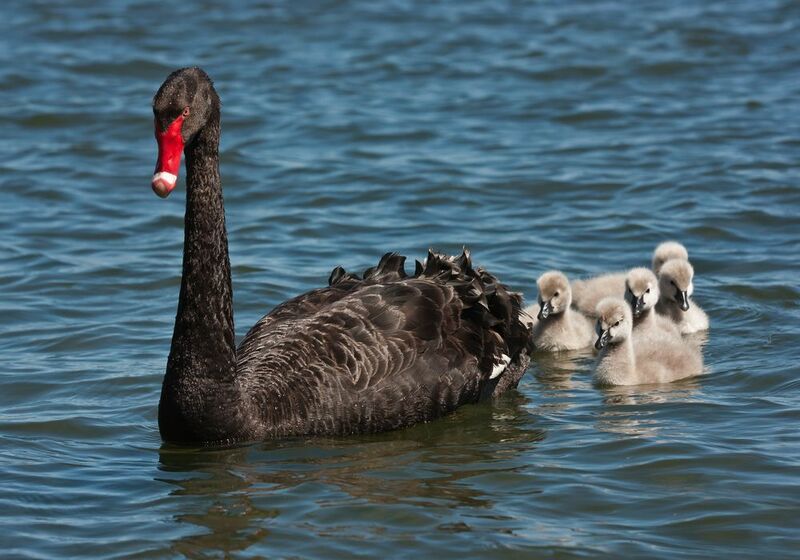 Located opposite the The Mirage Alexandra Headland the picturesque Lake Nelson Park, is home to many water birds, including some elegant swans. Come at the right time of year and watch the baby cygnets or maybe some ducklings with their parents. Also keep an eye out for honeyeaters and rainbow lorikeets in the flowering shrubs and trees, as well as kingfishers, egrets and herons down by the water. Make use of the great facilities including the parks BBQs, playground, picnic tables and shelters while you enjoy the views of the magnificent swan sculptures and the local waterway. The playground in this park is fenced and is currently scheduled for an overhaul to improve the play space. Siting on the small island in the middle of the lake is the beautiful ‘Sisters by Choice’ bronze sculptures. It’s a unique capture of a black swan, an emblem of the Maroochydore area, and the egret, the emblem of Xiamen, the Sunshine Coast’s Sister City in China, taking off in flight together to symbolise the sister city relationship and co-operation. Nelson Park is a lovely little green oasis in the middle of the Sunshine Coast. If you get sick of the beach it’s the best place to take a stroll, a quiet place to have a picnic or just a great place to let the kids burn off a bit of energy.